London is all kinds of cold and rainy and windy and gross today, keeping us inside and out of fashion. 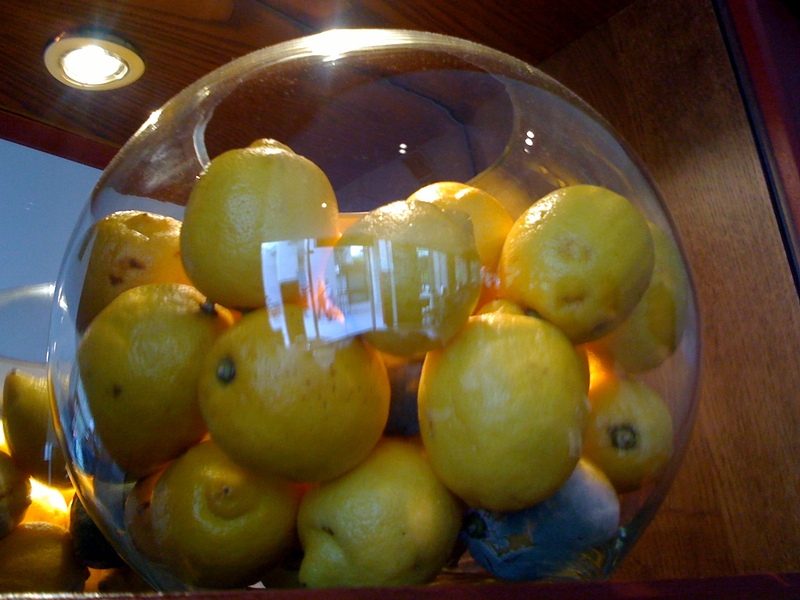 We ate at this restaurant a few weeks back, and I couldn’t resist taking a picture of this bowl of ill-attended lemons that were clearly meant to be decorative, not decayed. I might not have noticed if I hadn’t been sitting right beneath them, but as it happens I have an aesthetic fascination with mold and rot which made this very much my kind of thing. A little bit along the lines of a 16th-17th century veritas still life, but by accident rather than design, and just the sort of thing I would love to recreate (as design!) in my home, but for P’s penicillin allergy. Alas.